These earrings have a modern and minimal edge to them, and will enhance evening wear or discreetly complement every day outfits. 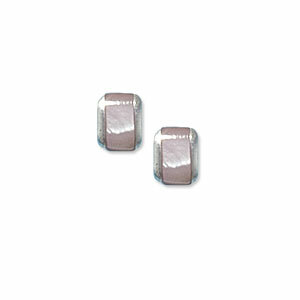 Set with Pink Mother of Pearl. Delivery aim: 3 working days.